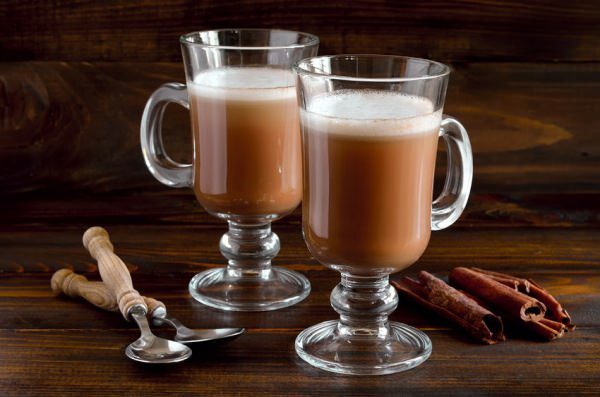 This winter drink is perfect for chai tea fans, and any tea lover. While a regular version of Chai Tea Latte includes sugar, this is a skinny, sugar-free variety to give a try tonight. In a saucepan, heat your almond milk with chai tea bags, vanilla and stevia. Once it begins to bubble, remove the saucepan from the heat and carefully pour into mugs. Sprinkle with cinnamon and add a foamy milk. It takes a few minutes to make.